Happy St. Patrick’s Day, everyone! Instead of dumping questionable food coloring into my brew, I looked elsewhere for Erin-spiration. Fresh from a trip to Mexico, I opted to celebrate the summerlike temperatures with a fiery green sauce (for the plantain empanadas planned for tomorrow’s dinner). 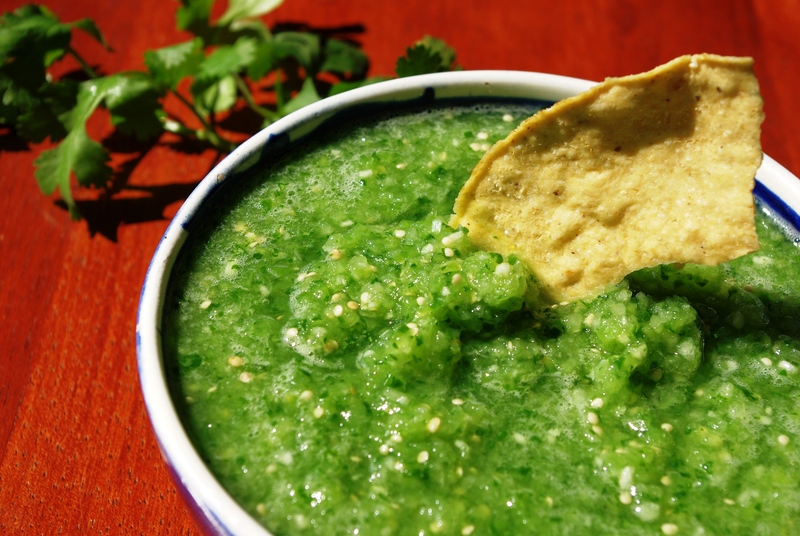 Tomatillos, garlic, onions, serranos, cilantro, salt whirl together in seconds revealing a tangy, spicy salsa verde cruda that is almost good enough to drink on its own. Breaking out the Mexican avocados next for a little guacamole.